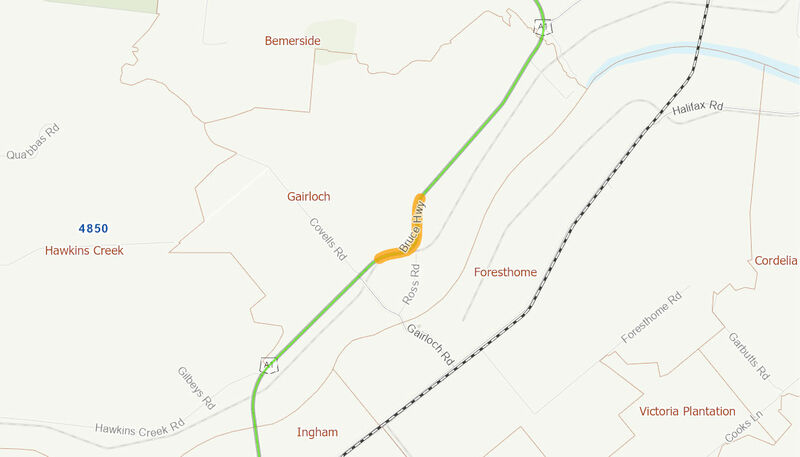 The project involves upgrading works to improve the flood immunity of the Bruce Highway at the Gairloch Floodway, north of Ingham. The project will improve the level of the flood immunity of the Bruce Highway, to provide more reliable access for road users. The Australian Government has committed up to $40 million towards the project. Construction was deferred to enable funding to be redirected to the rebuilding works following the major flood event experienced in Queensland in late 2010 and early 2011. A construction start date is to be announced.